On Thursday, April 4, 2019, a cultural event was held in Nekoosa at the High School. Several departments within the Ho-Chunk Nation and the Nekoosa/Port Edwards Area Title VII JOM Parent Committee made the event possible. Nekoosa Youth and Learning Center Director Angeline Decorah coordinated the event. 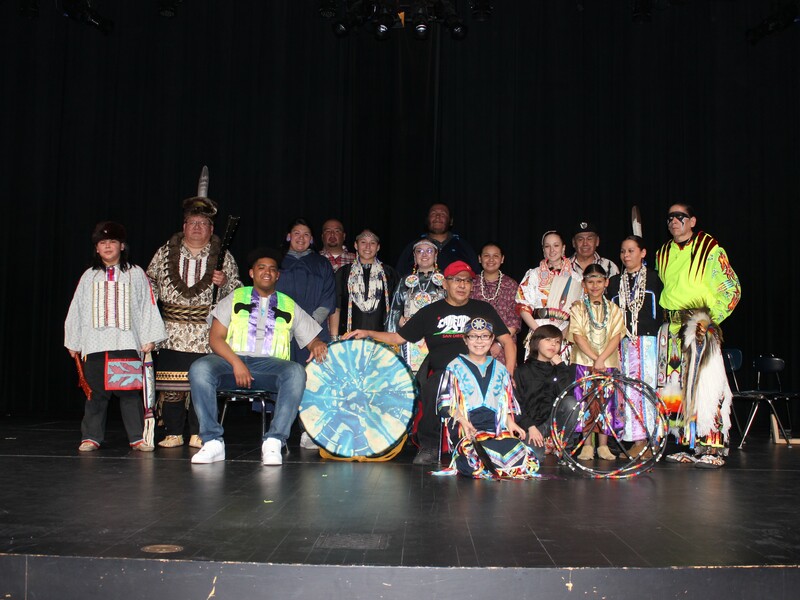 Special thanks were extended to Terry Whitmore, Lanette Walker, Lawrence Walker, Jr., Paula Cleveland, Barb Smith, Ronnie Preston, Dr. Don Bartlette, Lori Pettibone, Kathleen LaMere, Damek Walker, Ho-Chunk Drum singers and dancers, and Isaac Decorah. Nekoosa School District Administrator Terry Whitmore welcomed approximately 260 people in attendance and provided a brief explanation of the event’s purpose, “We are coming together tonight to celebrate the ongoing work our community is actively doing to create culturally responsive practices within our school and our greater community. “Over the last couple of years, the district has been working purposefully and deliberately with other area school districts and the Ho-Chunk Nation to learn, to discuss, and put practices in place so that we can better honor and celebrate differences that we all bring to our school and our community. Nekoosa High School Senior Isaac Decorah worked hard to get Dr. Don Bartlette as a guest speaker. Decorah talked with many departments within the Ho-Chunk Nation and many individuals from the school district. Isaac Decorah succeeded his senior year to bring Dr. Bartlette to the Nekoosa school district. Dr. Bartlette authored an autobiographical profile of his childhood, titled “Macaroni at Midnight” and is a full-time public speaker. He is Chippewa from North Dakota and shared his experiences about growing up in poverty, growing up with speech and other disabilities, suffering from school and family violence, experiencing racism, child abuse, homelessness, and living in an environment of alcoholism. He also highlighted how a community member showed unconditional love, acceptance, and compassion. This community member helped Dr. Bartlette overcome those obstacles and become successful in life. Dr. Don Bartlette is a former social worker, counselor, and educator. He has over 20 years’ experience working with minority children, abused clients, disabled persons, and low-income people through city, county, state, and national organizations. Dr. Bartlette mentioned that students of the Nekoosa school district were one of the most respectful groups of children he has presented to. District 3 Representative Lawrence Walker, Jr. prayed for the meal that was free for community members, students, teachers, and those in attendance. The meal was prepared by Barb Smith and her numerous helpers. Mr. Ronnie Preston emceed the drum and dance presentation and provided a hoop dance. Preston is from the San Carlos Apache tribe and is a champion grass dancer, singer, storyteller, and accomplished artist. Ronnie Preston spoke about the drum and about Native American regalia. He shared stories of the grass dancers, jingle dress dancers, women’s traditional dancers, women’s applique dancers, of the duck and dive dance, and of the swan dance. He demonstrated life through using an eagle feather as a visual. Preston’s humor embellished the evening’s presentation and the evening ended with door prize drawings. Each year the Nekoosa area hosts a cultural event while providing a traditional meal, various presentations, and a drum and dance session.